We had a wonderfully laid back engagement session with Ethan and Angie a few weeks ago. We met them in a park with their two dogs, each with a level of excitement proportional to their size. Jack particularly seemed happy about everything, whether he was having his photo taken or being carried over the mud in Ethan’s arms. 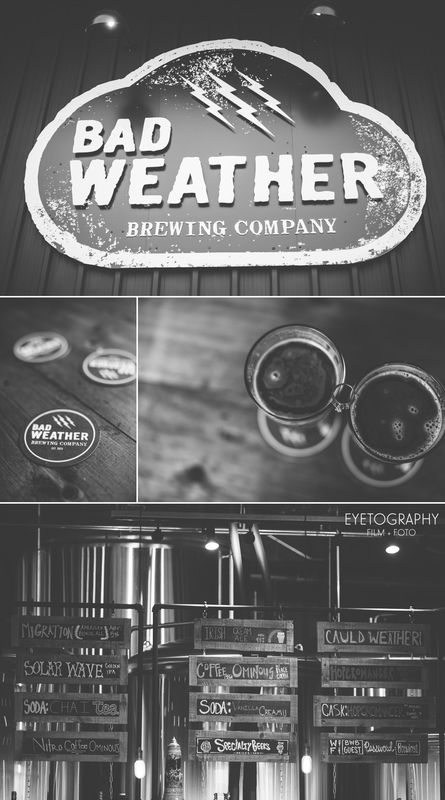 Then Angie and Ethan introduced us to Bad Weather Brewing, one of their favorite local spots. We enjoyed our drinks and chatted as the sun started to sink. Then we made a quick jaunt over to other side of the river for a view of the city lighting up. Though out the shoot, Kuba and I maintained that in the ranking of cities, Minneapolis will always come first in our hearts. We hardly ever take the time to explore St. Paul. But after spending the afternoon with Angie and Ethan, I can start to understand the appeal. The city doesn’t have the same rushed pace as Minneapolis, and it seems to perfectly suit Angie and Ethan, who take time to enjoy each other, their adorable dogs, having a drink, and walking the bridge. Angie and Ethan, thanks for spending a wonderful day with us. We can’t wait for your wedding!